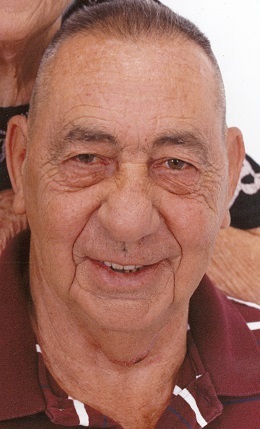 Roy L. Root, 86, of Colona passed away Aug. 11, 2018 at his home. Graveside services will be 11am Tuesday at Dayton Corners Cemetery in Colona. Schroder Mortuary in Colona is assisting the family with arrangements. Roy was born May 3, 1932 in Galt, MO the son of Victor and Edith Carpenter Root. He served in the Army during the Korean Conflict. Roy married Libby Hatcher Aug. 25, 1955. She passed away June 12, 2011. He worked as a tool and die maker for John Deere. Roy enjoyed building and driving dune buggies, mountain climbing and piloting remote control airplanes. Survivors include his sons Rick (Heidi) Root, Randy (Tammy) Root and Robby (Marian) Root; grandchildren Patricia (DJ) Sedlock, Catherine Lange, Christina (Tim Schutt) Root, Jessica (Mike) Bean, Jason Root, Tyler (Britt Kipp) Root; 12 great grandchildren; sister Willa Mae Runk and a special friend Doris Pedrick. Roy was preceded in death by his parents and his wife.